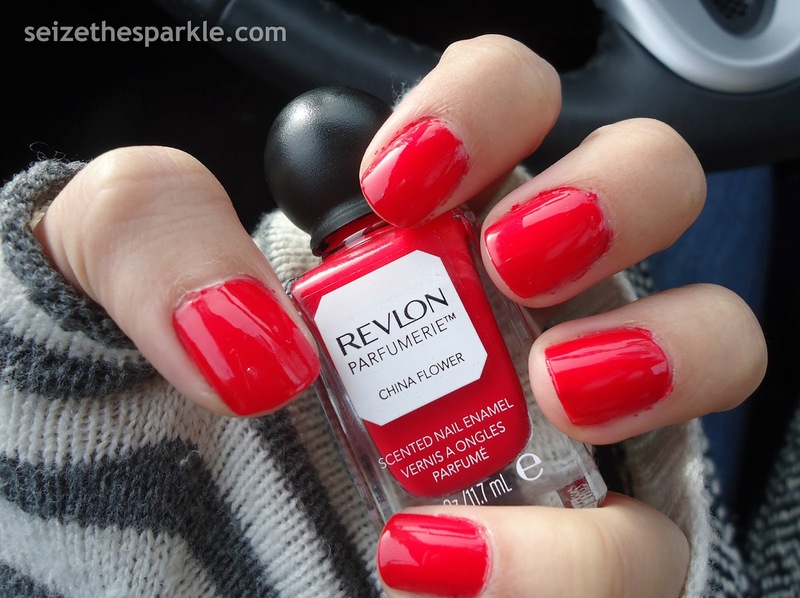 There's red, RED, and then there's this polish... China Flower from Revlon. Yes. It is really that vibrantly vermillion in real life. China Flower is a gorgeous, yet standard bright red shade that you probably already have in your collection. (If you've got a lot of reds.) What sets this one apart? It's from Revlon's Parfumerie Line, so when it dries, it leaves your nails with a light scent. This one was a flowery, sweet cherry kind of smell, and thankfully, it dissipated pretty quickly. The scents in this line are touch and go, and this is one that could definitely be improved upon! 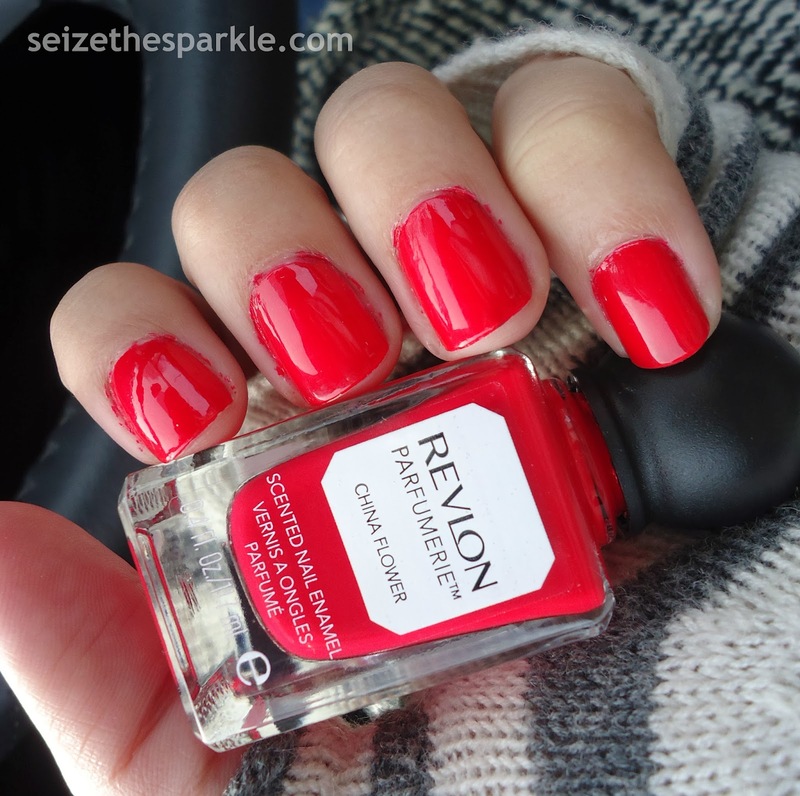 Have you tried any of the Parfumerie polishes from Revlon?